Attractively presented and effectively extended four bedroom semi detached family home located within the popular village of Eckington on the sought after road of Kestrel Drive. Boasting spacious family living accommodation throughout provided by a fantastic modern open plan kitchen/diner, four good sized bedroom, enclosed rear garden and off road parking for two vehicles. Situated close by to ample local amenities, public transport links and local schools. The accommodation in brief comprises: entrance hallway, open plan kitchen/diner fitted with an attractive range of wall and base units with appliances to include: Kenwood multi fuel double oven, extractor fan and dishwasher, as well as space and plumbing for a fridge/freezer and tumble dryer. A door leads to a utility cupboard where there is space and plumbing for an automatic washing machine. Front facing family lounge has stairs rising to the first floor landing, where there a four bedrooms and modern style family bathroom. The bathroom comprises of an attractive three piece suite in white with wash hand basin, low flush wc and bath with mains shower and screen above, censored spot lighting, tiling to the splash backs and floor and built in storage cupboard. 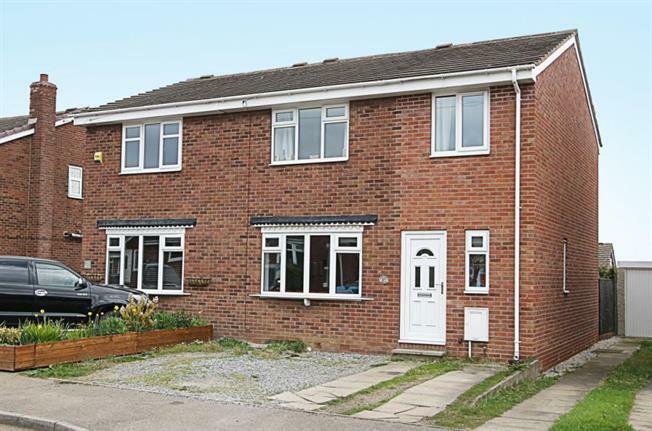 Outside: to the front of the property offers a driveway providing off road parking for two vehicles, whilst to the rear of the property benefits from an enclosed mainly laid to lawn garden with outside water tap and concrete hard standing. Location: Eckington village is steeped in local history, conservation areas and offers a host of superb local amenities, schools and a local supermarket. The area boasts a public swimming baths and superb local restaurants and gastro style eateries in the surrounding areas. Ideally situated for links to the M1 motorway networks, Sheffield city centre and nearby Crystal Peaks shopping centre. Renishaw Hall and local surrounding countryside and walks on the Pennine trail provide plenty of choice. The area is popular with buyers of all ages and has excellent bus and transport links.